There’s more to the latest addition to the Five Nights at Freddy’s series than meets the eye. A brand new Five Nights at Freddy’s game released on Steam yesterday despite no prior announcement from creator Scott Cawthon. 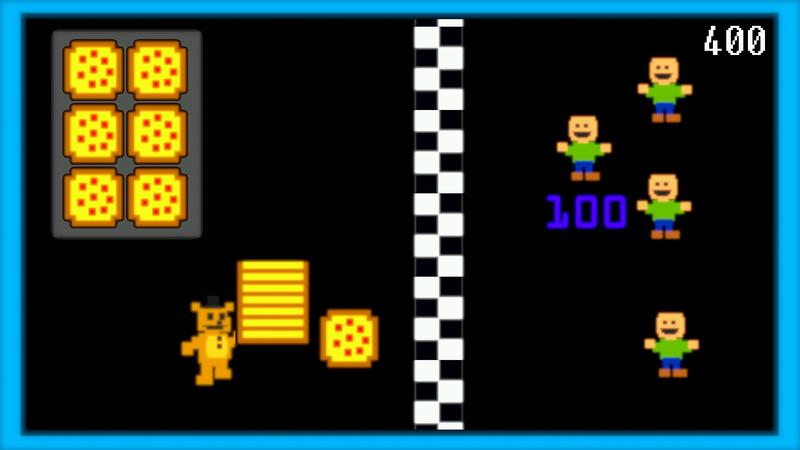 The game, entitled “Freddy Fazbear’s Pizzeria Simulator” is completely free-to-play and boasts some interesting gameplay features. 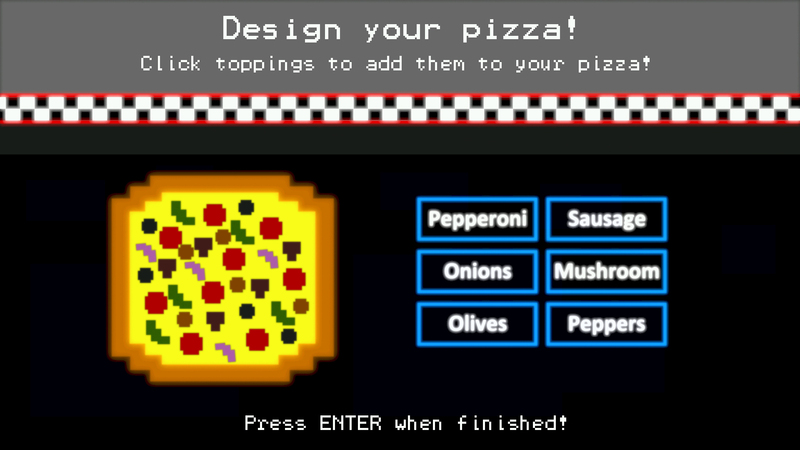 On the surface, the game plays like a restaurant sim with fun mini games thrown into the mix. The description of Freddy Fazbear’s Pizzeria Simulator reads as, “A fun Five Nights at Freddy’s adventure with a lighter touch for the holidays.” The description continues by describing the game as something where you can, “Design pizzas, feed kids, and get high scores!” If you’re thinking this sounds a little too pleasant for a franchise that features murderous animatronic animals, you’re definitely correct. Upon playing through the game, players quickly realized the latest addition is actually Five Nights at Freddy’s 6. While the game isn’t directly touted as such (despite having FNAF6 labels in the save files), there are several story-based hints that indicate Freddy Fazbear’s Pizzeria Simulator is in fact the highly anticipated 6th game. This comes as something of a surprise, as fans of the series had previously wondered whether a 6th installment would ever see the light of day after Cawthon announced he’d dropped the project back in June. “For the last month or so, I’ve been dropping hints about a new game; and it’s true that I’d been working on one (call it FNaF 6 if you like). But after forcing myself to keep working on it day after day, I realized something: I just don’t want to work on this. With each game’s release, I think the expectations get higher and higher for the next, and rightfully so. Each game should be better than the last,” Cawthon explained. At first, many felt the announcement was another one of Cawthon’s pranks. For example, last year Cawthon announced that Five Nights at Freddy’s Sister Location might be delayed, before eventually releasing the title right on schedule. Freddy Fazbear’s Pizzeria Simulator definitely accomplishes that, with a little extra thrown in for fans for good measure. Want to know more about the latest Five Nights at Freddy’s release? Be sure to check out the Steam page for Freddy Fazbear’s Pizzeria Simulator, which is completely free to download and play. What do you think of Cawthon dropping a new FNaF game out of the blue? Have you found any interesting secrets hidden in Freddy Fazbears Pizzeria Simulator? Let us know down in the comments below!